One of the blogs I read is Jennifer Allwood at The Magic Brush. I love this lady. She is fun-loving, runs her own business and manages to stay involved with her family activities all while offering advice to others about following their dreams and having a successful business. Oh and she loves glitter. She owns a faux painting business in Kansas City. Right now she is struggling with selling her beautiful home. It is a very beautiful house that reflects her unique style. Unfortunately her home is such a reflection of what she loves and her style that potential buyers have had a hard time seeing themselves in her home. She has now launched what she calls Operation Vanilla on her home and is making the home more neutral. She has removed the bright colors in bedrooms, the faux painted ceilings, Bible verses in the tray ceiling… The list is long. The photo above is Jennifer’s dining room. I love her table. I mean I have even been looking for an old sign to make my own because I think it is so cool. Her room is beautiful. It looks like a magazine page, but I think I would personally be a little overwhelmed with the finishes and would have a hard time envisioning my furniture in the space. I don’t think my furniture would measure up in such a fancy home. 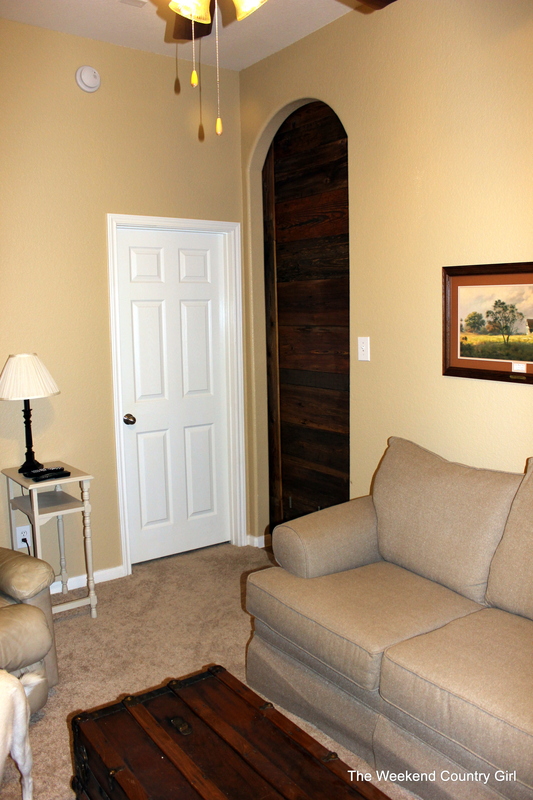 Each of you reading this has your own personal preference when it comes to your home’s style. You may like sleek and modern, beachy, traditional, cottage, shabby, rustic or eclectic. Our differences are what makes each home unique and are reflections of our lives. There really are ways to insert your own unique style along with fun touches in your home without affecting the resale value of your home. We have sold four homes over the years that had my own quirky style and all of them sold almost immediately even in tough markets and less than the most desire able areas so I feel confident providing a little insight in this area. Keep the “permanent” items neutral. 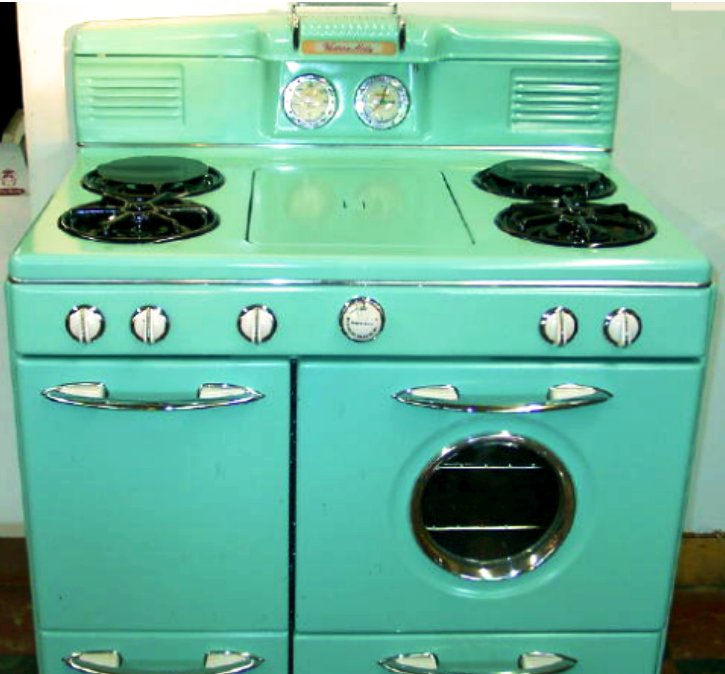 I would love a vintage stove in my kitchen. I mean one of those 1940’s stoves that has been refurbished and looks super cool. I haven’t put a vintage stove into my kitchen even in our last remodel because I knew we were going to sell our house and even though I would love having that stove, other folk might not love it and it could have kept our house from selling. 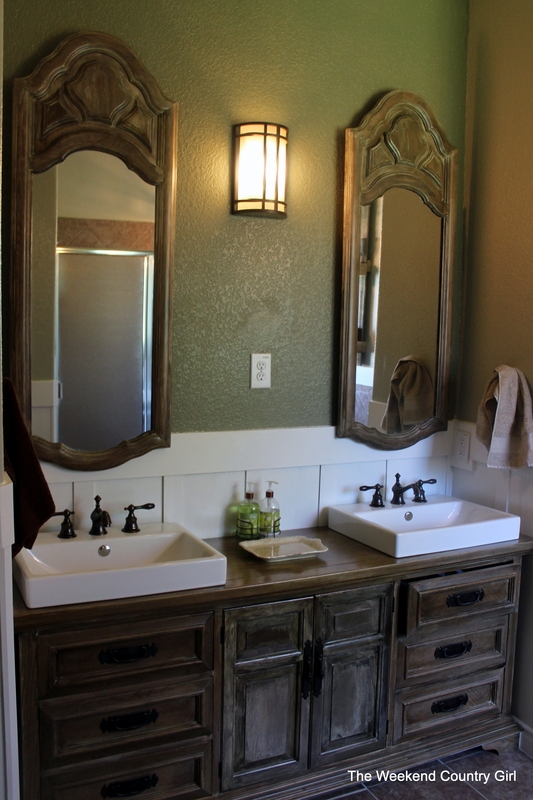 No checkerboard flooring, mason jar pendant lights, or unique features like a bright colored sink. If you have them and you love them, take them down, pack them up before you put the house on the market and move them to your new home. 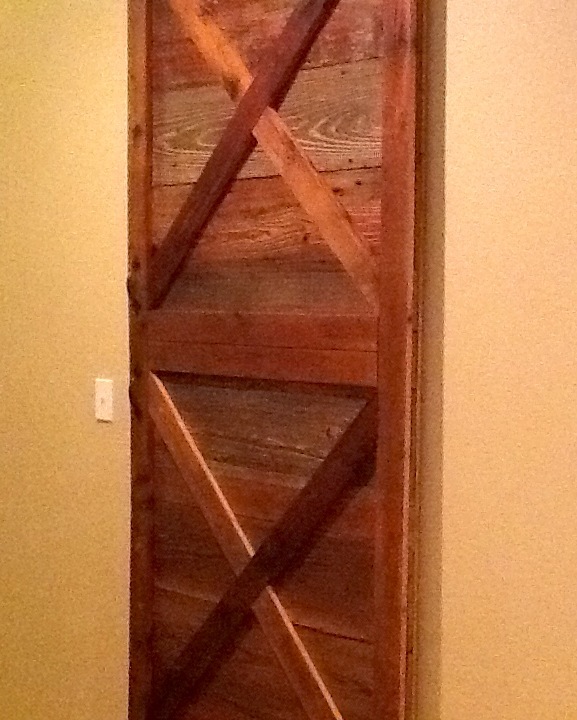 If and when (oh, there will be a when) we sell our suburban home, our barn door will come down. 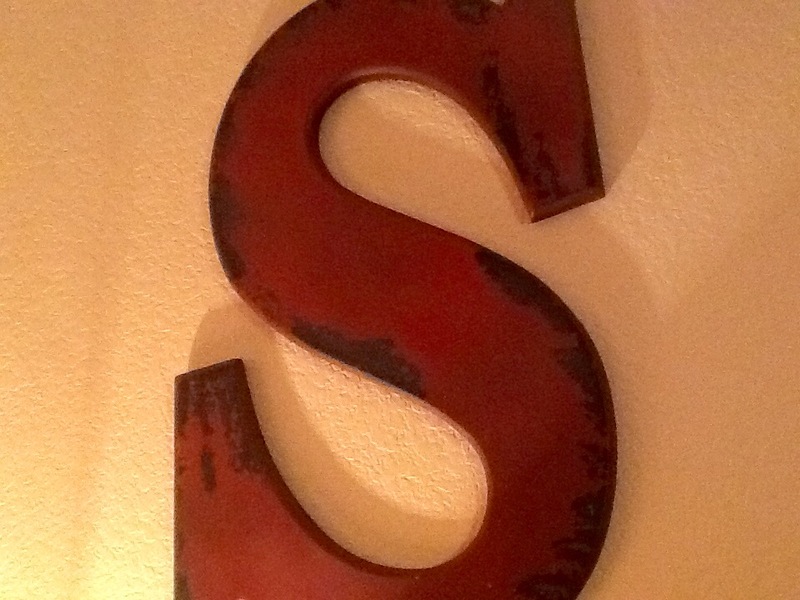 I will also take down my big S before showing the house because believe it or not, it could seem too personal. I do not, have not and will not make the entire house beige, blah, and well…boring, in order to sell a house. I will tell you that my experience has been that those totally neutral houses do not sell as fast as ours have. One of the things that has helped our houses to sell is that they are memorable but not something so personal that a homeowner is thinking about changing the second they move in. I also think that we have made our houses feel warm and loved. 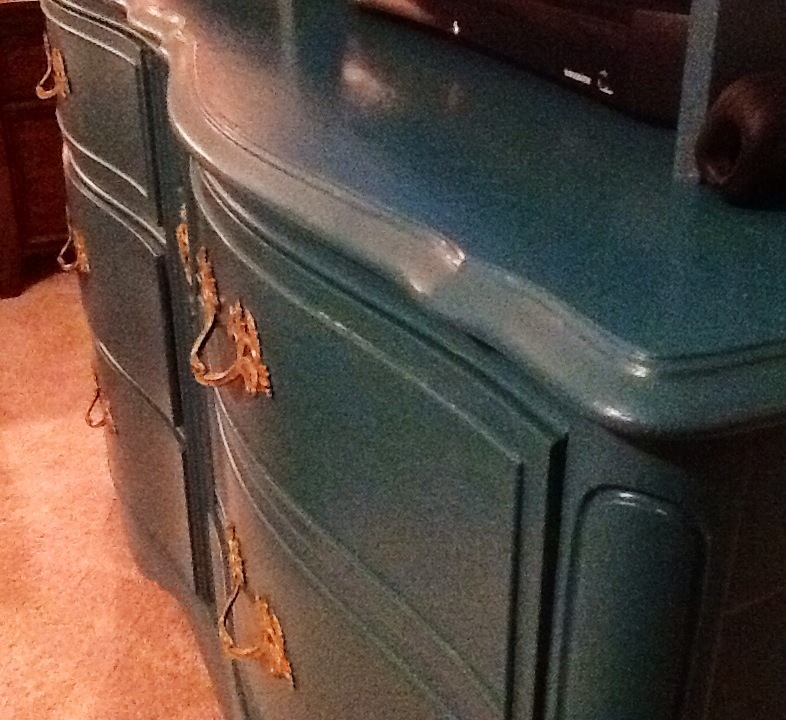 A few pieces of painted furniture like our mudroom bench, my farmhouse table, and the teal media dresser will be in the house. The walls, curtains, and flooring are neutral, so that the buyer can see themselves in the house but the colorful pieces are in the rooms to help the buyer, who is probably looking at multiple homes, remember the house. The artwork needs to be unique, but not specific. Over our bed is a simple one color piece that says Truly, Madly, Deeply. It is one of a kind, but is also something that doesn’t scream at you when you walk in. Put your money into the kitchen and bathrooms if you are going to update anything. Paint the picture for your potential buyers with furnishings. Depersonalizing does not mean empty and sterile. Help the visitors see what a room could be used for. If you have moved into your forever home and the next address for you is the Pearly Gates, have at it. Make your home as personalized as you want… someone else will have to deal with it when you are gone 🙂 If, on the other hand you know you will be moving, I hope you aren’t afraid to leave a little of your personality in the home. I would buy it for the stove, too. My next home will be more of my personal taste.